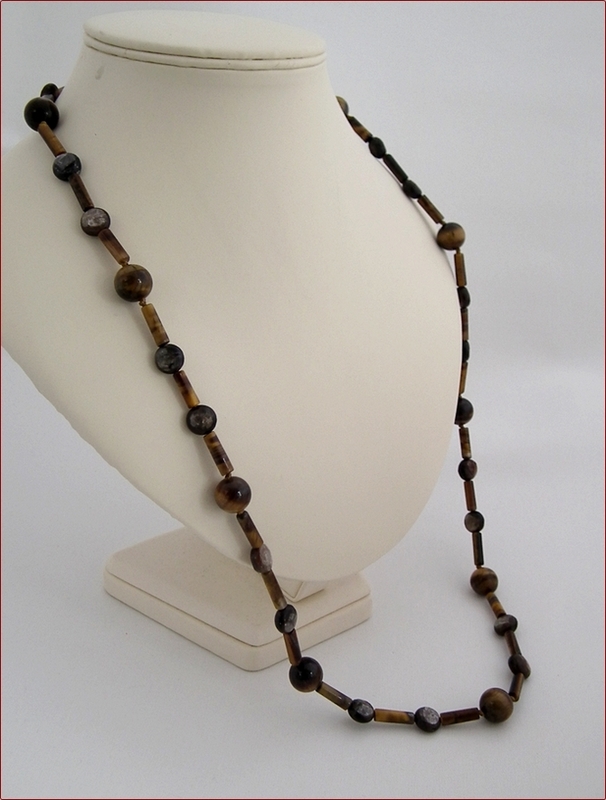 Sometimes I know exactly what I want to make and sometimes I have a bit of space and time to just play with my stones. Those times are quite rare but I cherish them as playing can lead to some new ideas and new combinations, as here. 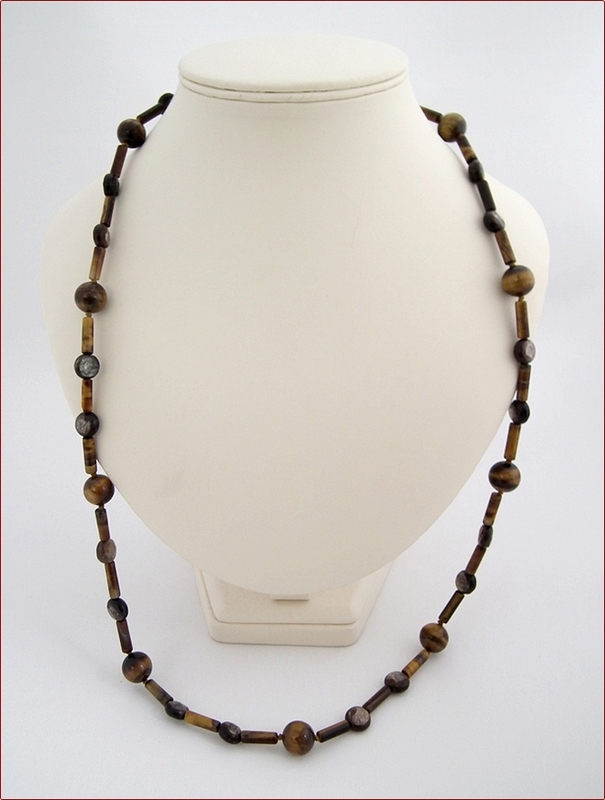 I gathered some tiger eye large round stones (about 12mm) and some tubes but wanted something else. Aha - what about these coin-shaped mica beads? 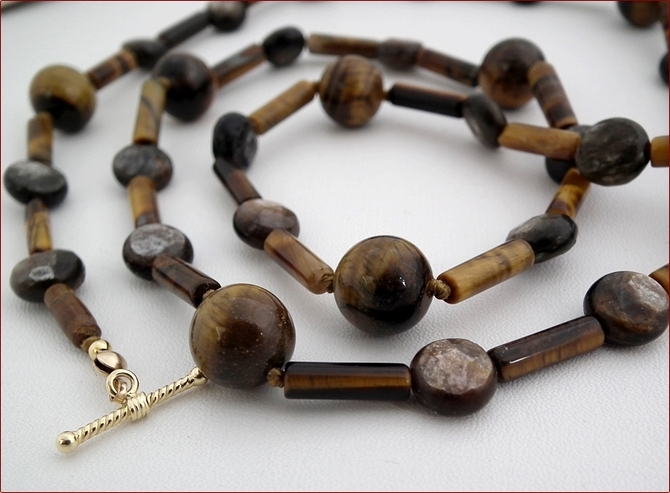 These are about 10mm across and lo - they do go with the tiger eye. Mica is much lighter and more fibrous than the microcrystelline of tiger eye but both have a kind of chatoyancy about them (glow!) 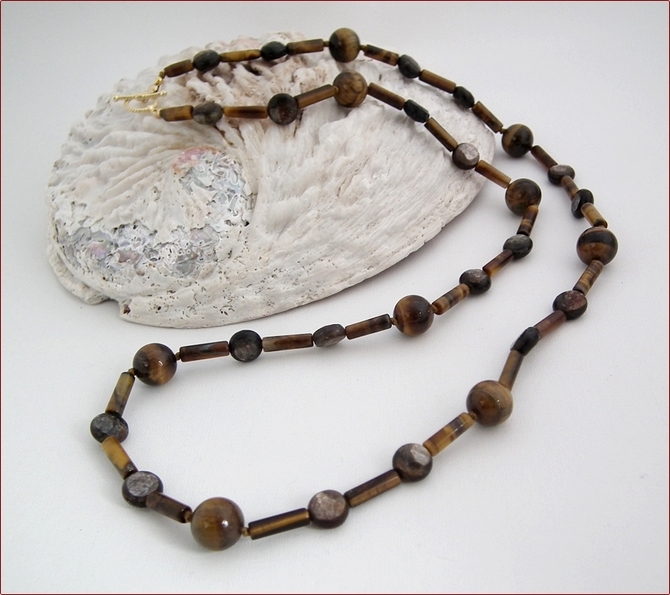 so I carried on and, knotting either side of the big tiger eye stones created this lovely long necklace. 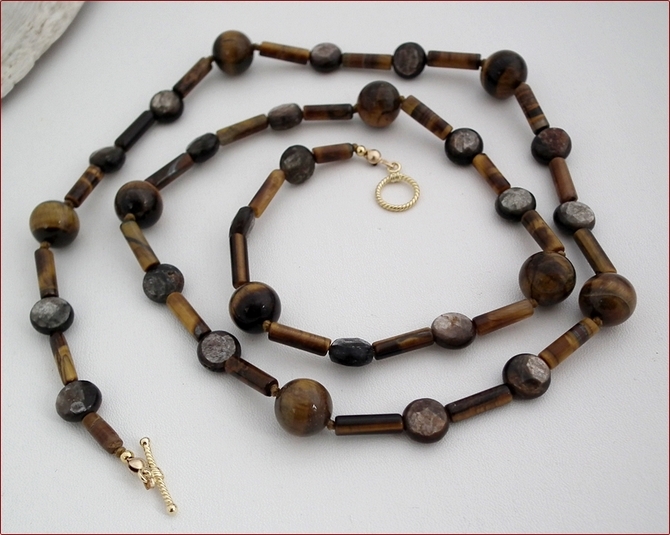 I chose a gold vermeil toggle clasp to finish it off (18ct gold layered onto sterling silver), although the necklace, at 30" (777mm) is obviously long enough to simply pop over your head. Very popular with ladies in a hurry (that's me!) or ladies who don't like working fiddly clasps.